The Salford Red Devils Foundation upheld a proud tradition on Wednesday by hosting the annual Lance Todd Trophy Dinner at the AJ Bell Stadium. The event takes place each year to honour the achievement of the Man of the Match from the Ladbrokes Challenge Cup final, who is presented with the Lance Todd Trophy. The trophy is owned by the Salford Red Devils Player Association, who own and present the trophy in honour of Salford Rugby legend Lance Todd. Todd, born in New Zealand was coach of Salford in their dominant period in the 1930’s, which saw the team dubbed ‘The Red Devils’ for the first time by French press, and lift the Challenge Cup. 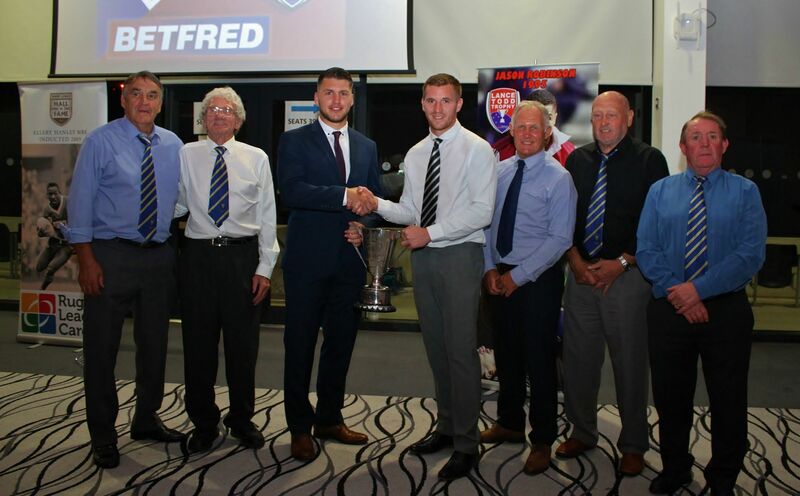 The dinner was well attended by legends of the game of Rugby League, including a number of former winners of the prestigious trophy, including Ray Ashton, Brian Lockwood and 2015 winner Tom Briscoe. This years winner, Salford academy product Marc Sneyd was presented with the trophy by Briscoe in front of his friends and family, and in the process joined a very elite club of champions. The event was sponsored by long term Foundation partners BetFred, and was attended by 200 guests from the world of rugby league and beyond. 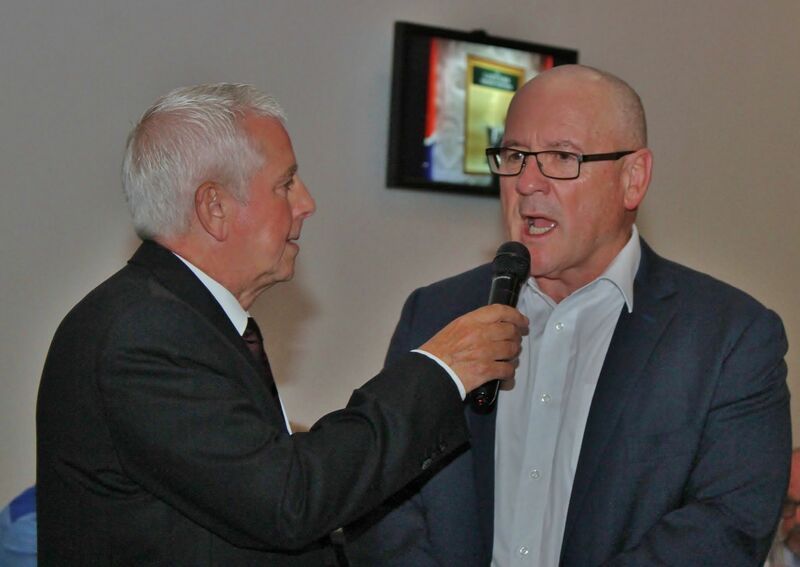 Participants were treated to interviews with previous winners and current stars of the game, including Red Devils Director of Rugby Tim Sheens. “It’s always a great evening at the Lance Todd Dinner and its fantastic that we are able to continue to honour the achievements of the games brightest players, and in the memory of a man who synonymous with Salford Rugby League”. The Lance Todd Trophy honours board is housed in the Foundation Museum room, which is open during the week and on match days.